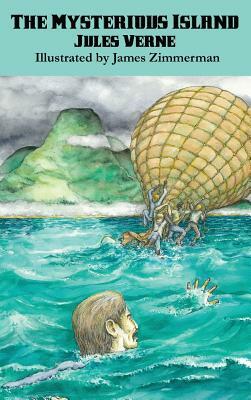 The Mysterious Island tells the exciting story of five Americans stranded on an uncharted island in the South Pacific. During the American Civil War, Richmond, Virginia was the capital of the Confederate States of America. Five northern prisoners of war decide to escape Richmond in a rather unusual way--by hijacking a balloon. After flying in stormy weather for several days, the group crash-lands on an unknown, cliff-bound, volcanic island. Ultimately, Captain Nemo plays an important role in the resolution of this novel. This edition is lavishly illustrated with twelve illustrations by James Zimmerman.